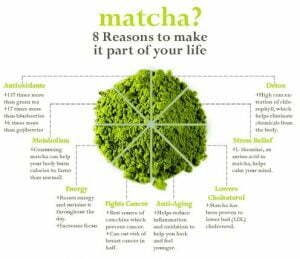 Matcha, also known as Japanese green tea, is finely ground powder of specially grown and processed green tea leaves, which was originated from China during the Tang Dynasty (618 – 907) and was brought to Japan in 1191 by the monk Eisai. 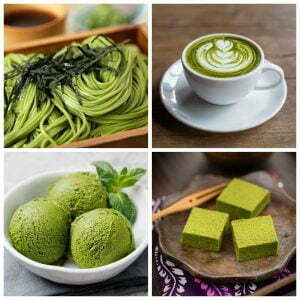 Matcha has always been very popular in China and Japan, especially in Japan, it is also used as a food flavouring and dye, you can find matcha soba noodles, matcha lattes, matcha ice cream and many other matcha flavoured food. 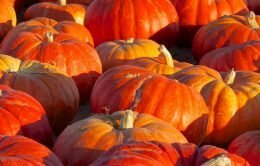 It is also becoming increasingly popular in Western countries due to its health benefits, especially its antioxidative properties, it is even labelled as a “superfood”. 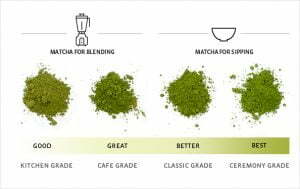 Ceremonial grade: This is the highest quality yet most expensive grade of matcha. It is usually used in traditional tea ceremonies and Buddhist temples. It has a uniquely “umami” flavour. 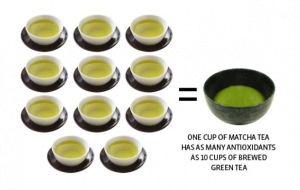 Premium grade: For daily consumption this would be the grade of matcha you go for. It is also high in quality which means it contains the full range of antioxidants, vitamins and minerals. 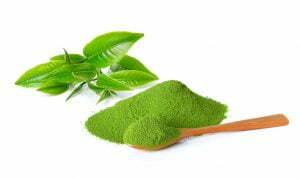 Cooking / culinary grade: This is the cheapest of all, commonly used for cooking and baking, it doesn’t contain the full health benefits and slightly bitter than the other 2 grades because they are made using leaves lower down on the green tea plant. 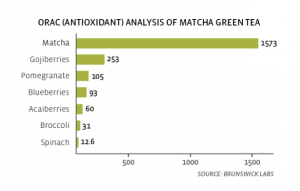 Knowing matcha is so good for you, what do you do with it? There are many different ways to incorporate this powerful green power in your diet. 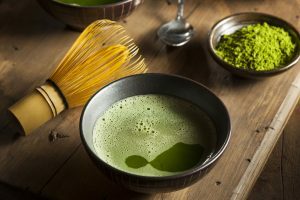 Begin with the basic, prepare a cup of matcha green tea: simply sift 1-2 tsp matcha into a cup, add a cup of boiling water, whisk vigorously using a bamboo whisk (or just a regular whisk) until frothy. Drink up! Add it in your morning smoothie: for a health kick, combine 1 cup spinach/kale, 1 banana, a cup nut milk, 1 tbsp honey and 1 tsp matcha powder in a blender, puree until smooth. 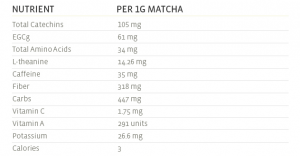 Swap café latte for a matcha latte: combine 1 tsp shifted matcha powder with ¼ cup boiling water, mix until the matcha powder has dissolved, add ¾ cup of hot milk, you are good to go. For a delicious yet healthy nice-cream: blend 1 frozen banana, a few mint leave, ¼ cup Greek yogurt, 1 tbsp honey or maple syrup, and 1 tsp matcha powder until smooth. 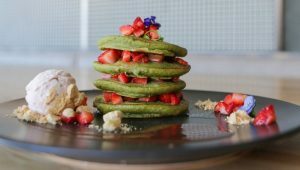 Matcha pancakes: I believe everyone has a favourite pancake recipe, just add an extra 1-2 tsp matcha powder into the batter for that matcha kick. 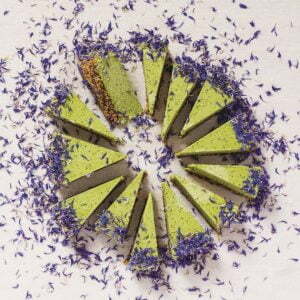 Overall, any recipes that call for cocoa powder, you can replace it with matcha powder, if you are new to matcha, you might want to adjust the ratio a bit, matcha does have a strong taste. To make the base, place the coconut and sesame seeds on a baking tray and toast for 10 minutes, tossing once halfway. Place dates, toasted sesame seeds and coconut and salt in a food processor and blend until dates are finely chopped and you can press the mixture together with your fingertips. Press into the bottom of your cake tin. For the filling, clean the food processor and then place all the ingredients for the filling into it, blitz until smooth. Taste. 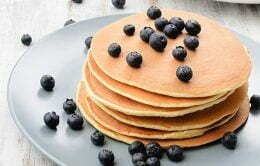 Add more maple syrup if you prefer it to be sweeter. Pour filling into the tin on top of the base, and freeze for a few hours or overnight. 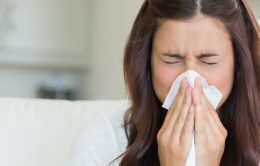 If setting overnight, remove from the freezer 30 minutes before serving. Decorate with the toppings of your choice and cut with a hot knife, cleaning the knife between slices. After defrosting, the cake will hold its flavour and form in the fridge for 4-5 days. Make individual cakes: press them into muffin tin moulds lined with plastic wrap.